21 century gave us an exceptional privilege of getting any kind of information in mere minutes without even leaving a room. At the same time, people can share their own knowledge with the community, which is especially easy to do by presenting this knowledge as screencasts. Icecream Screen Recorder is a purely genius way to capture all sorts of on-screen activities and showcasing the information in the most perceivable way possible. Check out this tutorial to learn how to screencast right. 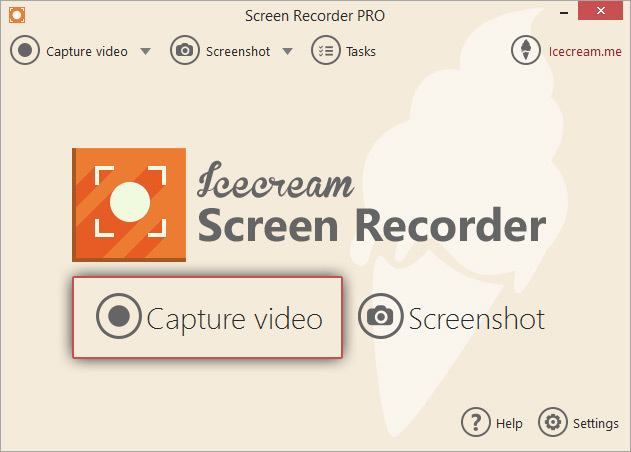 First off, download Icecream Screen Recorder right from this page. The process is simple: just hit the “Download” button, save the setup file, run it and complete the installation as suggested by the Wizard. Once you complete that, launch the program and proceed with the screen capture process. Most of the setting job is done in the Settings panel of this screen recording software which you can access by clicking the “Settings” button in the bottom right-hand corner of the main window. The program's settings are all divided into 5 tabs: System, Save to, Video, Audio and Hotkeys. The full guide on the customization of these settings before the actual screen capture can be found here. 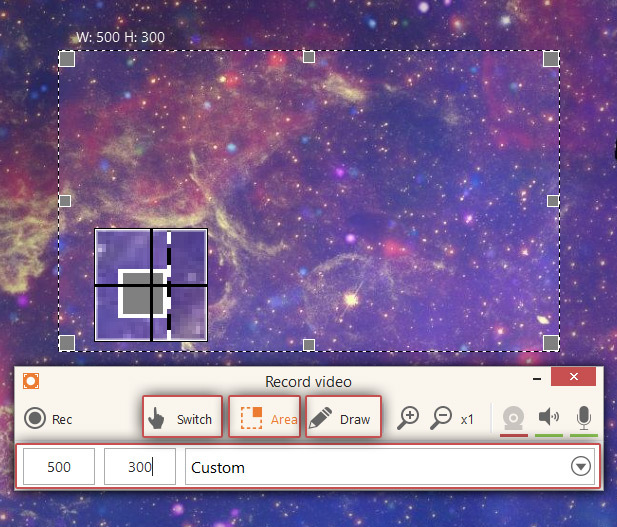 To start screencasting, press the “Capture video” button in the middle of the main window. Frame the area that you’d like to capture and release the mouse cursor as it's done. You can change the size and the position of the recording area before the recording of your screencast is started: you can use preset parameters like Full screen, 960p, 720p, 1024x768p, etc., or do it manually with the Custom option through the program's recording panel while the “Area” button is pressed and is active. Here on the recording panel you can find the “Switch” button, press it to switch control from the screen recording software to your PC (it will activate the desktop and let you control your computer in a regular way). Note that if the “Hide desktop icons” is enabled in the Video tab of the Settings panel, you wouldn’t be able to use the icons on your desktop as they will be hidden during the capture of your screencast. The “Draw” button opens the Draw panel where you can use a number of the most needed drawing tools (brush, shapes, step tool, text). 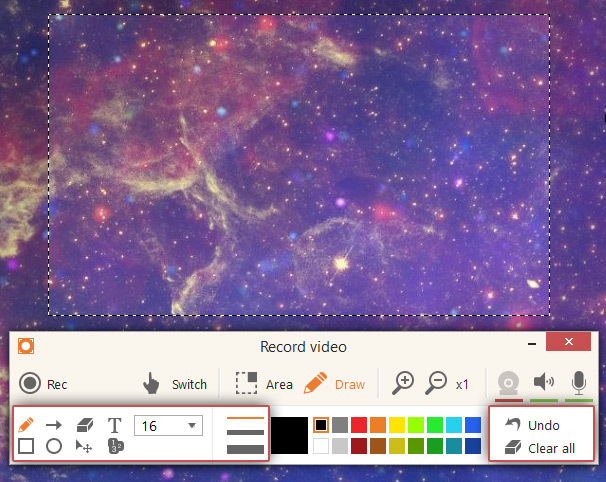 You are free to add graphics to your screencast within the selected area before and during the recording. Use the “Undo” and “Clear all” buttons to cancel the latest changes or remove them all respectively. 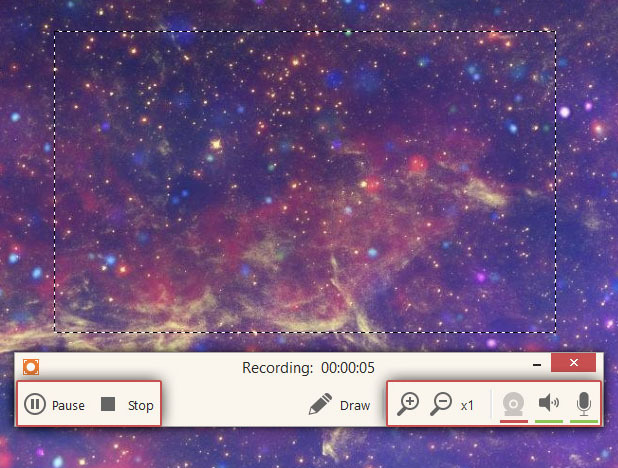 Click the webcamera icon in the right-hand side part of the recording panel to open the webcamera window. Customize its size and the location within the frames of the recording area. Once all the preparations are done, you can start screencasting. To do that, click the “Rec” button on the left of the recording panel. The process will be initiated immediately or after a three-second countdown (depends whether or not the “Show countdown” option was disabled in the Video tab of the Settings of this screen recorder). 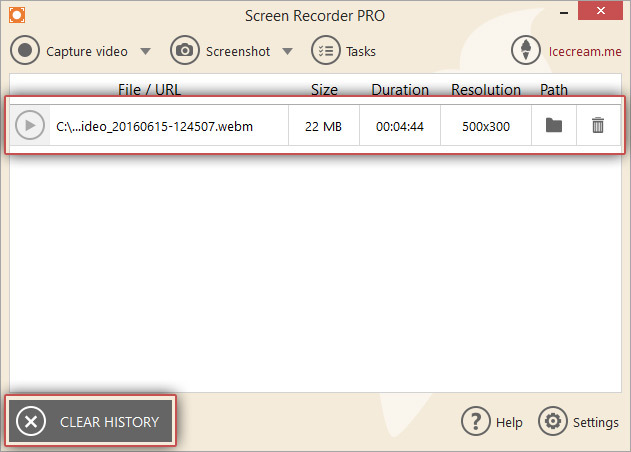 This screen recording software offers zooming in and out of the selected recording area during the screen capture (unless you're recording in “Around mouse” recording mode). Press the magnifying glass icon with “+” symbol to zoom in, the magnifying glass with “-” symbol to zoom out. The current zoom level is shown to the right of these 2 buttons on the recording panel. To enable, disable and/or adjust the sound level of audio and microphone, press the audio and microphone icons to open their control panels. If you want to pause the video to switch to another web page or add extra graphics from the Draw panel, press the “Pause” icon, and then press “Resume” to continue. Once you recorded everything you wanted, hit the “Stop” icon and the process will be finished. You will see a popup notification in the bottom right corner of the screen (this notification will be displayed if the “Show notifications” option is enabled in the System tab of the Settings panel of this screen recorder) – click the folder icon in this window to check the screencast in the containing folder. You can also open an output file in a default player by double clickingit in the History tab (to access it you need to close the control panel). Press the “CLEAR HISTORY” button in the bottom left corner to delete all the videos from history or hit the recycle bin icon to the right of the file to remove this actual file from the list.